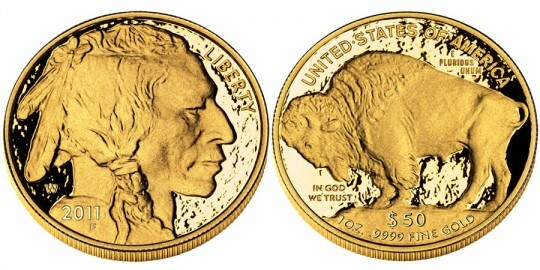 The 2011 American Buffalo Gold Proof Coin marks the sixth year for the collectible coins which debuted in 2006. A preliminary release date of April 18, 2011 has been announced by the US Mint. These strikes were authorized as part of the Presidential $1 Coin Act of 2005 and are composed of one ounce of .9999 fine 24-karat gold. When first released, they marked the first issues in the history of the Mint to be struck from such a grade of gold. The obverse and reverse imagery on the coins may be familiar to most collectors. They were first seen on the 1913-1938 circulating nickel known to many as the "Indian Head Nickel," or more commonly, the "Buffalo Nickel." The original designs were the work of James Earle Fraser. 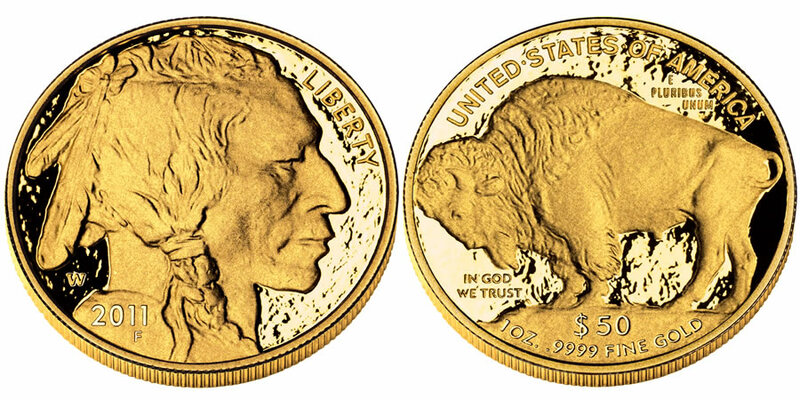 A profile of a Native American designed by James Earle Fraser is seen on the obverse of the Buffalo Gold coin. It is said to be the composite of three different Indian Chiefs. The inscription "Liberty" is seen in front of the face, with the year shown around the shoulder area. Behind the neck is the "W" mintmark for West Point. The reverse, also designed by James Earle Fraser, features an American Buffalo (also known as a bison). Over the buffalo are the inscriptions "United States of America" and "E Pluribus Unum." Underneath the creature is "In God We Trust," "$50" and "1 Oz. .9999 Fine Gold."